Tote bags are one of my favourite things to sew, just because they are such a fast and satisfying make. However, I've made so many, that there really don't need to be any more in my house! So birthdays are the perfect occasion for me to whip up a tote bag. I really enjoyed making this, I think that my favourite part of making tote bags is choosing the fabric, as there is a contrast band around the top. I went to fabric land to choose the fabrics, and I found a really nice anchor print fabric to go with a denim. The lining is a really nice blue spotty fabric, which I like as it's brighter. I love when a lining contrasts the outer fabric. 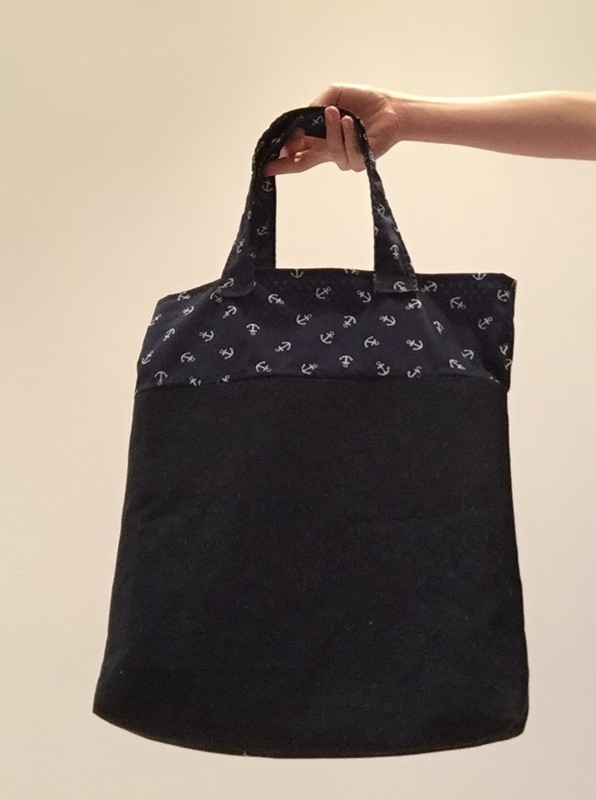 I'm really pleased with this tote bag, it was fun to make, and I think it looks really nice. I'm looking forward to giving it to the inteneded receiver, I hope they like it! I love to sew tote bags too--a good "palate cleanser" after your beautiful button-down. This is jane of seejaneremix btw. Thank you! I love the term 'palate cleanser ' too, it's so true! A great bag. 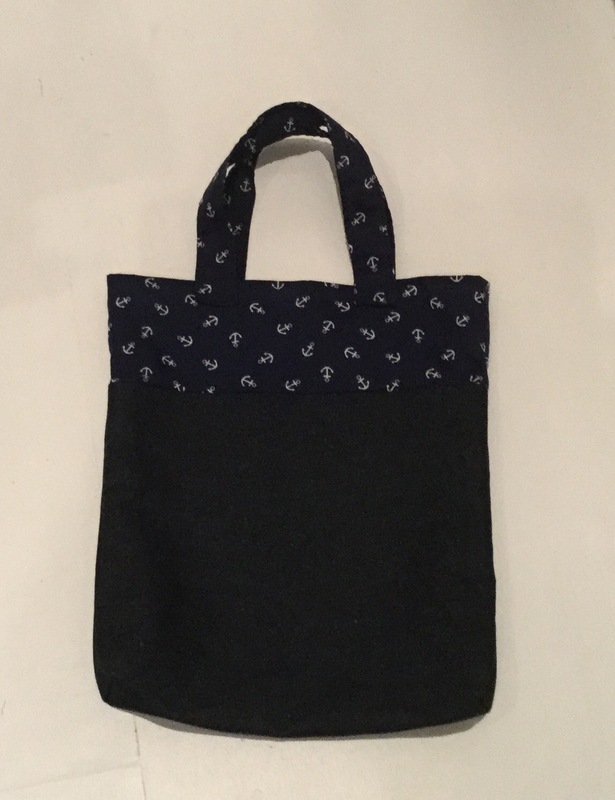 I love the contrast of the navy blue with the printed nautical fabric!